The award-winning quarterly magazine published by the Ramsey County Historical Society is filled with wonderful stories, well-written articles, photos, and maps reflecting the lives, history, and culture of our capital county. 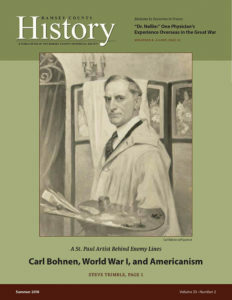 If you or anyone in your family is interested in the history of Saint Paul and Ramsey County, Ramsey County History magazine is essential. In 1964, Ramsey County History began a distinguished tradition of assembling original information on engaging stories and noteworthy events that might otherwise be lost to time. 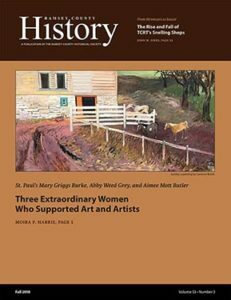 The magazine offers readable, non-academic, local history focusing as much on the ordinary person as on the extraordinary. RCHS also publishes books, several of which have won awards. The best, easiest, and most cost effective way to get Ramsey County History is to become a member of the Ramsey County Historical Society. The magazine is a benefit of membership along with free admission to the Gibbs Museum. You may purchase individual copies of our magazine from RCHS for $10.00. 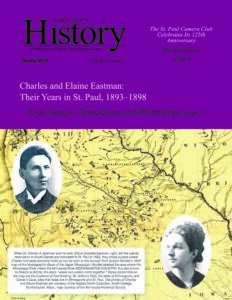 Ramsey County History magazine article summaries and PDFs of articles by issue. Please use the Search function at the top right of your screen to hunt for specific topics or articles. Please note that we are in the process of uploading the article PDFs, all articles will be available shortly. You may also research back issues of Ramsey County History in our Research Center. 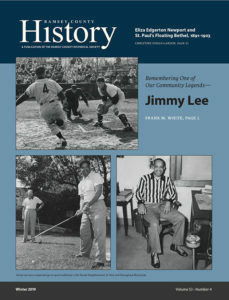 Inquiries about writing for Ramsey County History should be directed to the Editor, John M. Lindley (john @rchs.com) or Contact Us.